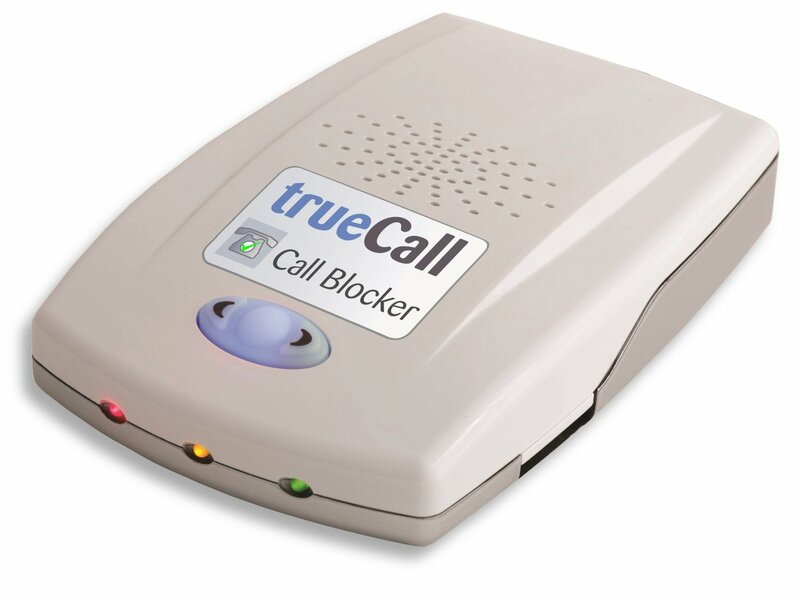 £80.73With the installation of the tellows Call Blocker, you can block unwanted calls automatically! It manages clearly and easily the tellows Block List with thousands of reported numbers at tellows, as well as a Personal Block List and a Personal White List that you can create yourself. Thanks to daily updates, you can enjoy a high block rate of unwanted calls. 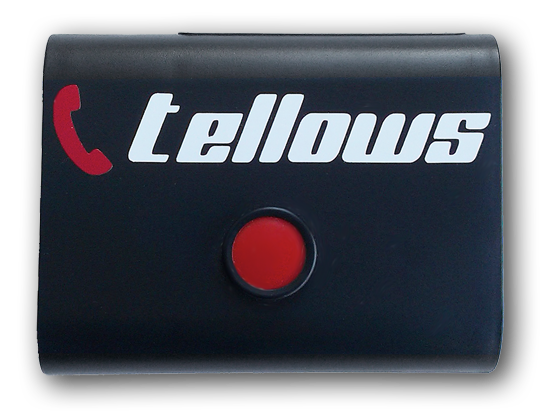 Get the tellows Call Blocker for a special price of £80.73! 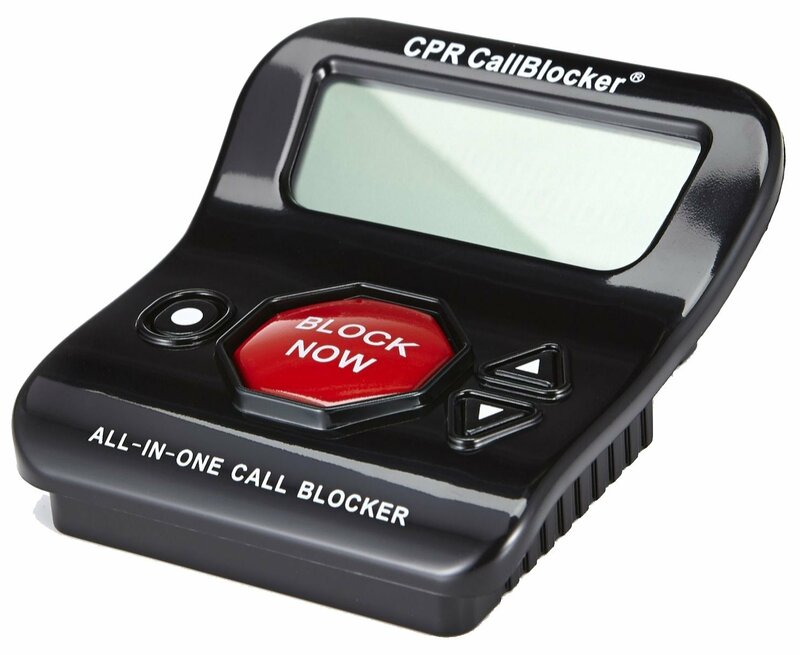 £39.99Plug in and Block – it’s as easy as that with the CPR All-in-One Call Blocker. Every known spam phone number is preinstalled on this little device. Although it does not offer many features it blocks nuisance calls wihtout mercy. That’s what counts. 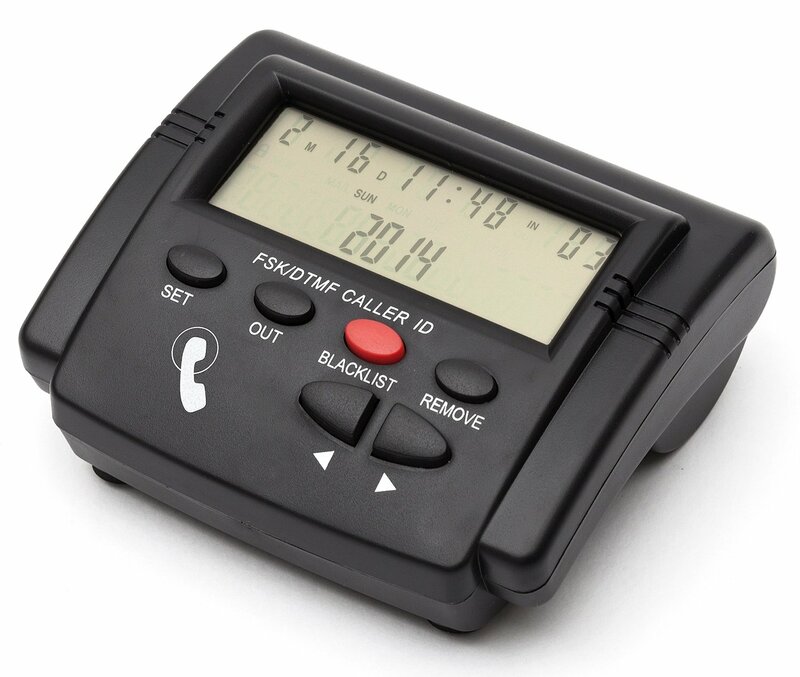 £59.99The CPR Call Blocker V201 is the latest call blocker by CPR and offers several improvements. First, it is not restricted to the preinstalled set of numbers. A big block button allows you to block incoming calls and to add them to the block list. In addition the device can block calls from certain area codes and unknown numbers. £99.99The TrueCall Box offers easy handling with a lot of features which can be personalised to your like. Not only will you be able to controll any incoming call but also to choose a different options depending on day and night time. Of course, blocking undesired calls is its profession! 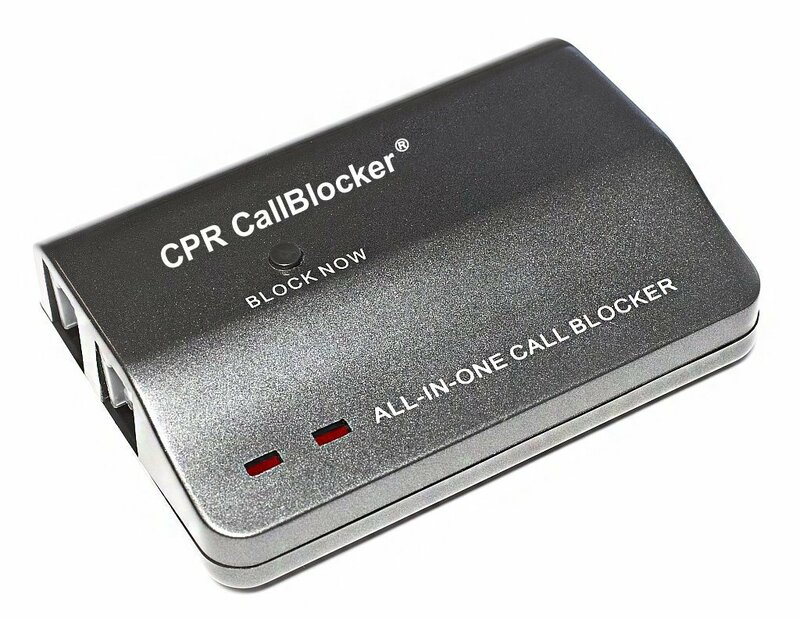 £29.95The Call Saint Nuisance Call Blocker features are similar to the those of the CPR Call Blocker V201. Not only are withheld numbers blocked automatically, you may also add numbers and area codes to the block list at your leisure. However, the Call Saint offers an additional function for parents – it can block outgoing calls, too. Do you want to know more about call blockers? Just watch the video below! The Answer to „Who’s calling?“ – Know Who Calls from 01158285039 at the First Ring. The tellows iPhone and Android apps utilize the tellows score to categorize according to their level of trustworthiness. Whereas incoming calls from serious numbers are not effected, calls from a phone number rated 7 or higher – hence, untrustworthy – are labeled as such and, therewith, warn you against a probably dangereous call as soon as your phone rings. The Telephone Preference Service (TPS) is a free service offered for UK households. The main purpose of this service is to stop unwanted advertisement and marketing calls. Registering on the website does not guarantee the end of unsolicited calls, since some will call illegally. However, it helps in decreasing the calls. You can register for TPS at MPS Online. In addition to registering with the TPS it is strongly advised to report phone numbers not only to the ICO but also to OFCOM, both of which only become active once enough complaints have been filed. It lies within their power to fine offenders and to deactivate phone numbers completely. Furthermore, it is recommended to inform your provider about the the receiption of unsolicited calls. Not only may they provide the caller’s phone number – if it was blocked during the call – for legal purposes but they also may have a way to blacklist a certain amount of phone numbers in their system. The extent of such a feature and whether it is free or fee-based varies from provider to provider. If you have a higher-grade phonesystem you may configure a blacklist. Some VOIP providers may also offer such features. This might help blocking most numbers, but although the number of spam increases every day you won’t be able to block all spam numbers.